Please note that the content of this book primarily consists of articles available from Wikipedia or other free sources online. 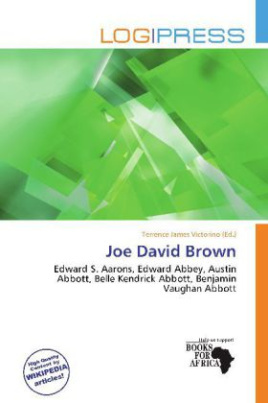 Joe David Brown (12 May 1915 - 22 April 1976) was an American novelist and journalist from Birmingham, Alabama. He drew memorably from his own life to compose his fiction: his grandfather's role as a minister, his own knowledge of confidence games from his work as a reporter, his World War II experiences, and his residence on journalistic assignment in India. He is particularly remembered for the title character of his novel Addie Pray, the young "Mistress of the Con Game" during the Great Depression in the Deep South; the story later became the film Paper Moon.